Kindergarten gives our kids the best start at a critical time in their development and helps to prepare them for their formal schooling years. For this reason, the National Partnership Agreement with the Commonwealth and Victorian Governments for funding universal access to 15 hours of kindergarten a week for four year-olds is vital to all Victorian families. This Agreement ensures that the Victorian Government contributes two thirds of the funding required for the 15 hours of preschool, with the Commonwealth Government contributing one third of funding. Funding has only been committed by the Commonwealth Government until the end of 2019, with uncertainty around how the five hours will be funded beyond that date. Parents cannot afford to pay increased fees – the government must commit to long-term funding to ensure children don’t miss out on receiving 15 hours of kindergarten in the year before they commence school. Parents need the right support to help them raising thriving children. This is why kindergarten must be affordable for all Australians. 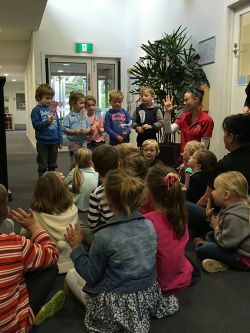 Local government voluntarily invests significant funds and resources towards kindergarten provision – councils own the majority of facilities, are a major service planner and provider, and offer subsidies and other assistance for kinder programs. Of Victoria’s 1,320 community-based kindergartens, at least 1,094 (83 per cent) operate from council-owned buildings.